With the right makeup items, even dark skin tones can be enhanced wonderfully to make you look stunningly beautiful. Picking out the best amidst all is undoubtedly the challenge for you. To help you, we have talked about some of these best foundations for dark skin tones that are available in India. With the Max Factor Xperience Weightless Foundation, you will get to flaunt a flawless and glowing skin texture. Made from natural formulation of jojoba oil, this foundation is very light, fluffy and available in gel liquid form. It not only provides with luxurious coverage but also blends perfectly without blocking the pores. 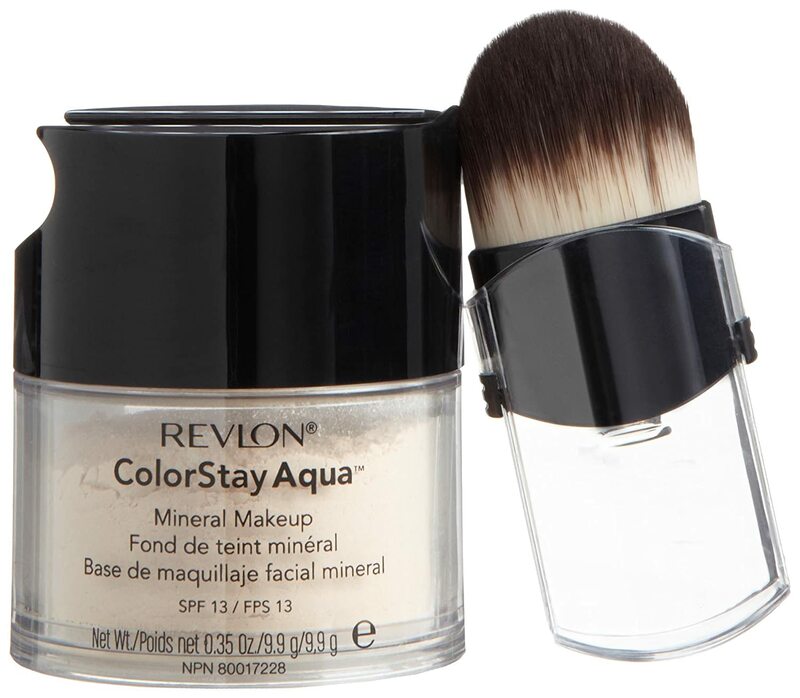 Colorstay Aqua Mineral Makeup Foundation from Revlon is another excellent foundation for dark skin type that includes topaz, rose quartz and pearl extracts in it. Its advanced technological formulation makes it long lasting (16 hours) and naturally soft, thus making your skin appear naturally radiant. This makeup foundation is weightless and available in silky loose power to be applied with help of a brush. Long lasting for up to 12 hours in extreme humid climate, this natural foundation from Bobbi Brown has SPF 15 which ensures maximum sun protection. It also provides with an oil free look that makes your face look evenly covered and moisturized. Enriched with several nourishing ingredients such as Vitamin C, glycerin, shea butter and Vitamin E, it also adds comfort and antioxidant to your skin. Formulated with 95% mineral components such as Zinc Oxide, Vitamin B5, Aloe Vera, Vitamin E, this foundation from the house of Loreal is available in powdery form. From reducing skin imperfections to sun protection SPF 15, it gives you an exciting flawless skin texture. Gentle and dermatological tested to suit all types rightly; it is also preservative and oil free. Light and feathery with a smooth texture, this natural mousse foundation from Lakme makes your skin feel silky and radiant. It is long lasting up to 16 hours and is also provided with SPF 8 for maximum benefits. Blend it on your face properly with fingers or a soft sponge to hide off all imperfections in a flawless style. Light and smooth in composition, the Hd Studio Photogenic Foundation from NYX is infused with tri-peptides which helps revitalize your skin, lessen wrinkle formation and gives you a flawless tone at its best. It is also perfect for dusky skin color as it promotes production of collagen, thus making you look perfect for any spotlight. This gel moisturizer from Oriflame is lightweight and gives you a perfect glow instantly, making you look radiant and unblemished in an effortless way. It blends evenly on your skin and is suited for all weathers seamlessly. Its mild fruity fragrance with no side effects makes it a must have in your makeup kit.